It seems like bad news for muscian and actor Andre 3000. The artist is set to star in a biopic about the late guitarist, Jimi Hendrix, but the company that controls his music, is not so pleased with this idea. Find out more after the jump. So the producers of the film will most likely have to get permission from the company in order to include any actual music from the artist’s repertoire. 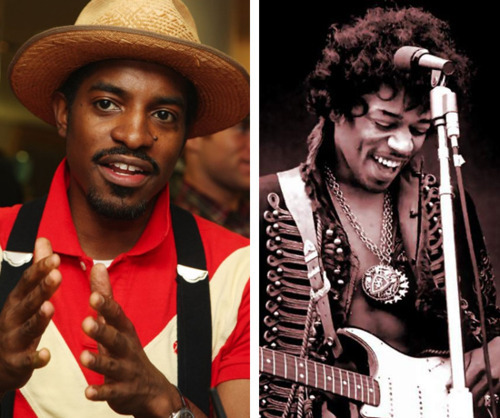 Andre 3000, whose given last name is Benjamin, has appeared in several other film endeavors including Semi-Pro, alongside Will Ferrell (2008), Idlewild (2006), and Four Brothers (2005).